One of my (September) new year resolutions (September always feels like the real new year, fresh start to me), is to finally get all my crochet patterns up online for sale. I have so many this may take a while, but my aim is to get one pattern republished every fortnight. 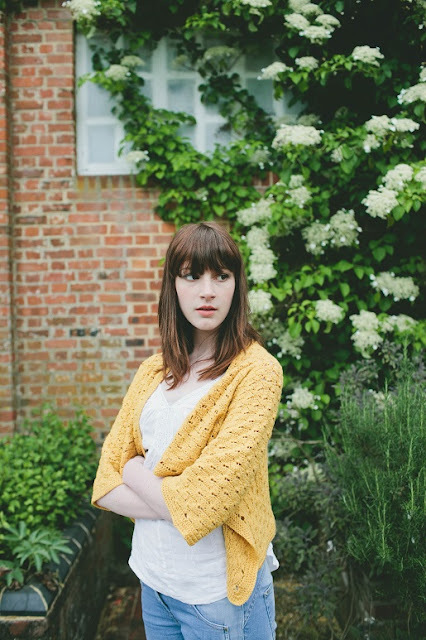 So this weeks new addition is my Leonie Cardigan, originally published in Inside Crochet 2 years ago. 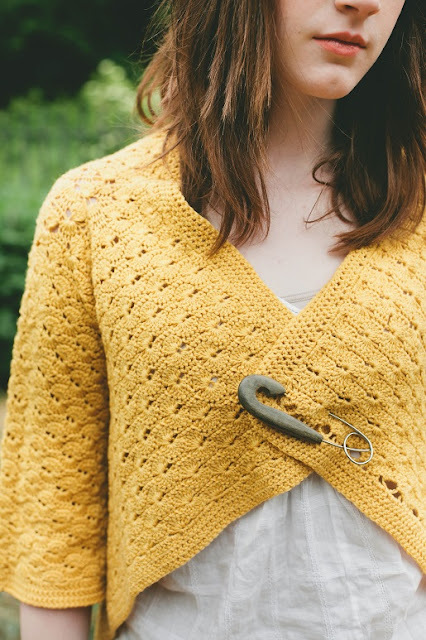 I love this cardigan, it came out exactly as I had hoped when I first designed it. The Catherine Wheel stitch is gorgeously drapey yet full of interest and texture, it's cosy but not too warm and versatile too. Perfect for autumn, which most definitely seems to be making an appearance around these parts. The pattern is worked from side to side, you work the front panel, make a space for the sleeve, work the back panel, make another sleeve space, before working the final front panel, you then join at the sleeve gaps and work up the sleeves. It's simple yet so much fun. 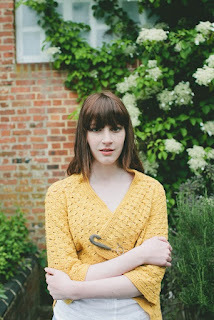 The yarn is Rowan Pure Wool 4ply in Gerbera, but any 4ply wool content yarn would work in it's place. Block this piece hard on completion for a really drapey finish (make sure to block your swatch too before taking the measurements). The pattern is available in both US and UK terms and comes in 4 sizes to fit bust sizes : 32-34", 36-38", 40-42", 44-46"
If you fancy making one of these for yourself I'm offering an automatic 50% discount until the end of this weekend, so hop on over to Ravelry to grab yourself a copy.